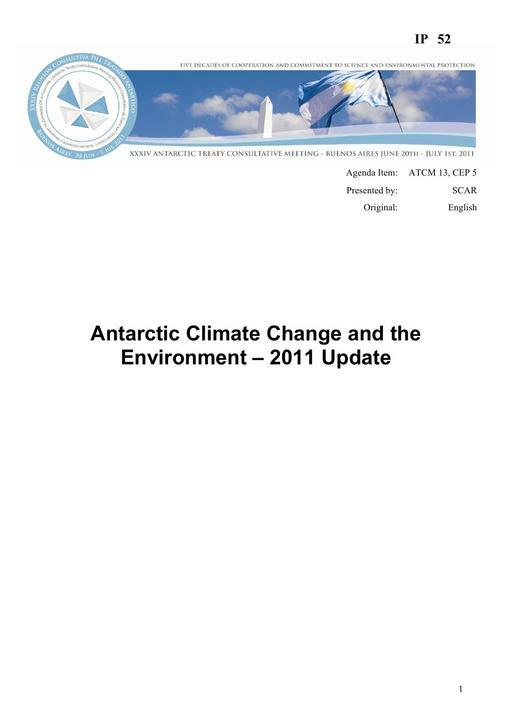 This paper is the second update to the ATCM since the publication of the SCAR Antarctic Climate Change and the Environment (ACCE) report (Turner et al., 2009a). The ACCE report was a first step in compiling a comprehensive assessment of scientific information on the climate system and ecosystem responses to change in the Antarctic and Southern Ocean region. The present paper, developed by the new SCAR ACCE Expert Group, highlights some recent advances in our knowledge of Antarctic climate science and associated impacts on the environment.